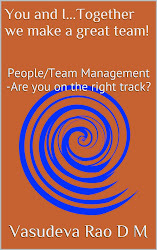 People/Team Management -Are you on the right track? : Do we understand enough? In people/team management – practice to perfection. People/Team Management -Are you on the right track? Do we understand enough? In people/team management – practice to perfection. Yes in a situation do we understand enough? And most importantly is our understanding right? There is a huge difference between both as we will discuss further in this post. This aspect does have a great impact in our day to day situations and without any doubt is imperative in our toughest situations with people. I cannot emphasize enough on this ‘Deal maker or breaker’ ability. 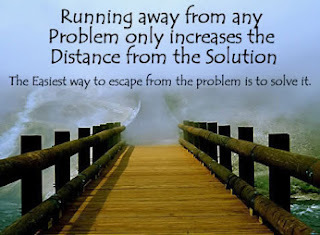 We often encounter simple problems escalate to a mess, as either due to a lack of understanding or failure in understand it right. Either ways it spells disaster in relationships with people when handled incorrectly. Just the other day, I was facing a difficult situation with a person. We had to arrive at a resolution for this ongoing issue. I just did not know how to come out of the situation. The other person’s opinion and solution seemed so unfair. I did not understand why his decision in this situation was so different from an exact similar situation that he was involved in the past. I was getting extremely frustrated as to why the other person is so unreasonable. The situation was so intense probably one of the biggest turmoil of my life, involving sensitive decision making. I wanted to be doubly sure on my decision hence I thought would discuss this with my friend (sort of taking a second opinion). I discussed this with a nice friend of mine explaining him the facts of the situation, references of the other person’s judgment in a similar situation in the past and his total unreasonable behavior in the current situation. I narrated the entire episode to my friend and asked him for his opinion and support in arriving at a fair resolution to this issue. Following are the pointers that he suggested in resolving complicated issues, especially when things are sensitive. · We need to understand the basic thing that when the other person is at loggerheads and arguing in a situation they feel they are right in their thinking and have their own reasons in thinking so; irrespective of how you or others feel. – Reason being they lack the general understanding, or could be under wrong influence of others, or are obsessed with their thought and hence simply not willing to understand. · When discussing a particular situation we should not refer to any past experiences involving either person; (however similar situation it may seem). – Reason being both parties would stress upon their favorable outcome of the past situation and imply it on the current situation; an aspect which will not be acceptable to the other person. · While discussing in a situation we always need to leave the emotional baggage out and be as practical as possible (I am aware that this is most difficult part in relationships as our emotions bound to jump in at all times). – Reason being our emotions act as a catalyst and quickly escalate a problem into a mess. We are bound to take fair and strong decisions only if take care of this aspect. “Dealing with'Emotional warfare in mind'. I will add to the above, sensitive discussions like these are best resolved on an open, face to face conversation rather than over the phone. These one to one conversations done in person tend to be more fruitful and binding rather than other means of communication. Normally we tend to resolve most of the situations by ourselves; even complicated and sensitive ones. There is no harm in taking a second opinion from a trusted friend or an expert. Things would be much simpler if we take good advice from friends and well wishers; especially when we are unsure or have a slightest doubt. I am glad that I approached a right person for advice. I really appreciate my friend’s maturity of thinking. His suggestion to approach an issue devoid of emotions has seen me out of what otherwise was a really complicated situation. The learning out of this entire episode will emerge as an important experience in life and guide us take “Quality Decisions” whenever and wherever similar situations arise. Thanks a lot! I really appreciate your time reading this post. I hope you enjoy reading the posts and find it helpful. I request you to share the learning as much as possible so that many more benefit from it. I would be glad to know your inputs both For or Against. Please feel free to post, share or like if you find it useful. Happy Learning! and Happy Sharing! Glad to announce the launch of Brand Quotient (BQ) - an online style accesories destination. Customized coaching plans for Personality Development. Good Leaders are made not born...in team/people management. - Practice to perfection. Amazing things about working with people/team management – Discover it. You and I…Together We Make a Great Team in People/Team Management - Experience It. Lead yourself before leading others…in People/Team management – Self discipline a key contributor. Knowing the Knowledge, Skills, and Abilities (KSA) Well in People/Team Management - A Key Requirement. Wonderful quotes from Richard Branson - being an inspirational Leader. Essential changes recommended within work force in People/Team Management – Create a spirited work environment. Magic Quotes - A collection of wonderful quotes that inspire, motivate and celebrate a journey called "Life"
The art of counselling...in People/Team management – Doing the right thing. Facing the interview…in people/team management – A different point of view. Easy to read Kindle edition available in multiple languages. Vasudeva Rao D M (Vasu) currently managing a chain of retail outlets at Nizampet, Hyderabad. Vasu holds a Degree in Hotel Management and Catering Technology, from Osmania University, Hyderabad. His 16+ years of experience includes association with Hospitality Industry, and core Operations roles in varied Customer Service Processes. Through his experiences he's acquired an outstanding skill set that guides him to be successful. These include effective people management skills, leadership skills. Skills that are instrumental in the ability to lead motivate and build successful teams, in all areas of work and self development. Vasu’s constant passion to learn and share knowledge is never ending, always pushing himself to bigger and greater accomplishments. 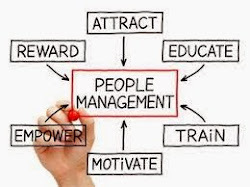 As a part of it, his blog: www.peoplemanagement.in serves as a platform for him to reach out to more and more people, who share best practices and also further his learning in the process.